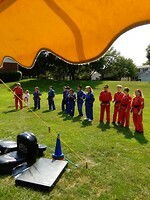 After a rainy morning the clouds broke and the sun came peeking through for a fun filled afternoon. 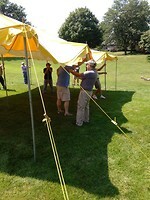 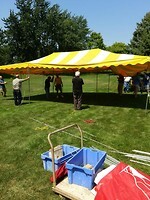 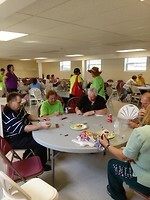 With help from our amazing team of parishioner volunteers the afternoon was a big success. 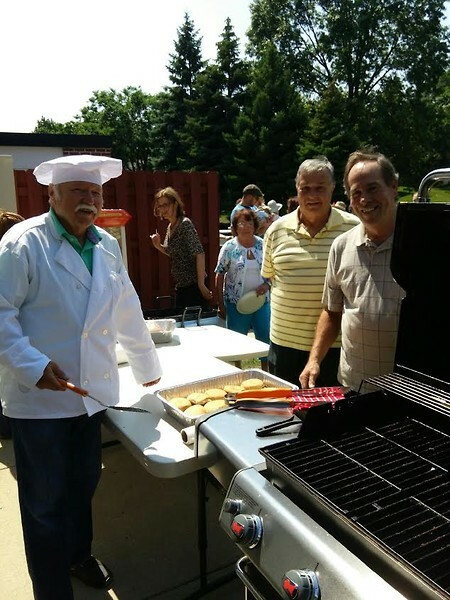 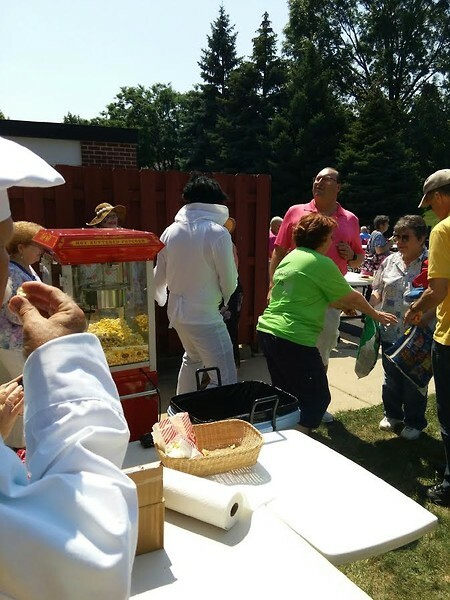 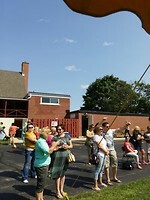 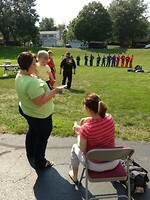 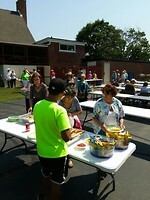 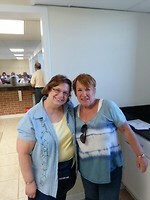 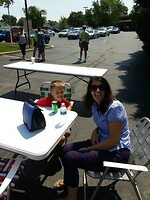 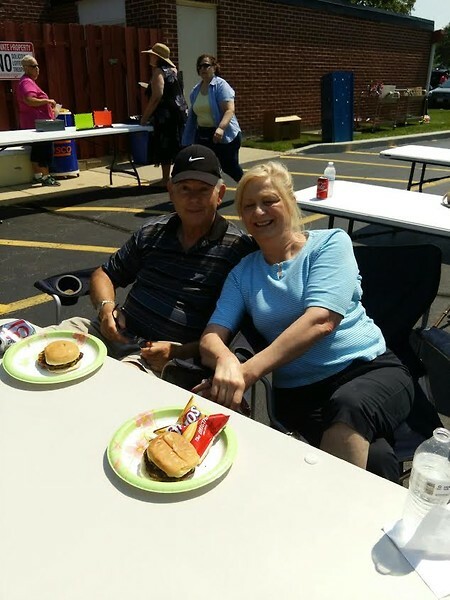 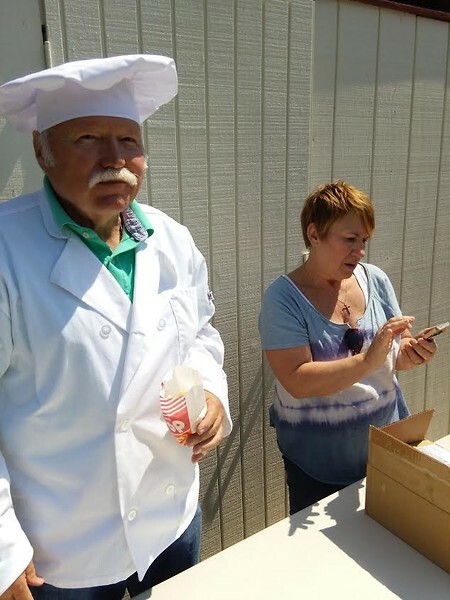 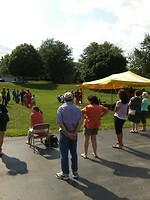 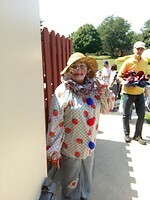 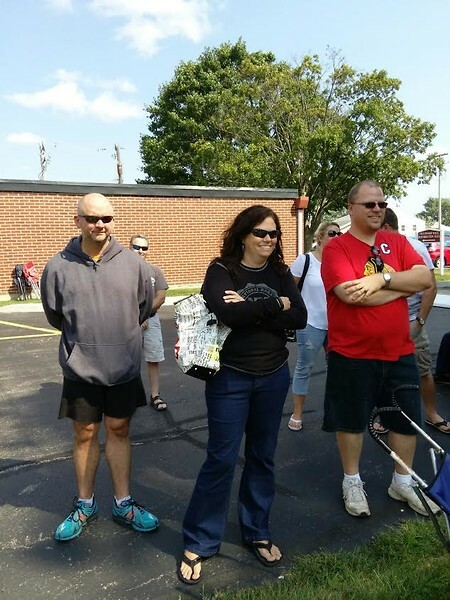 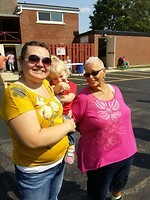 The church offered burgers and hot dogs, and with the generosity of our parishioners who donated chips and sweets. 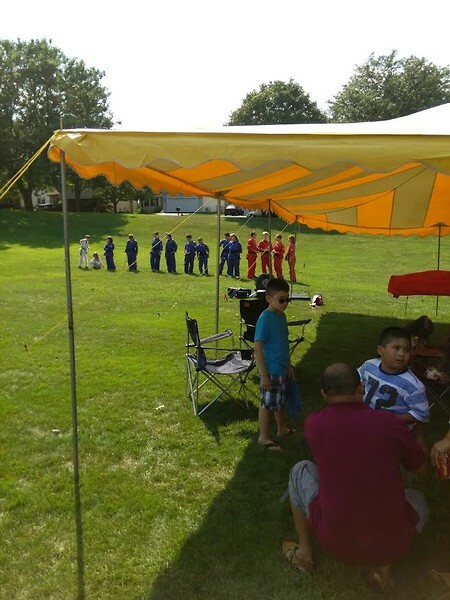 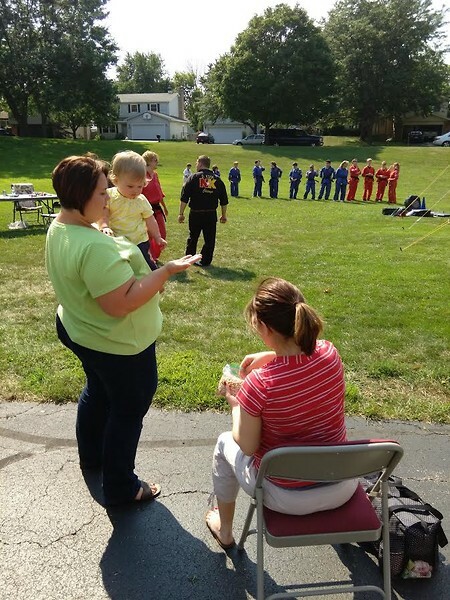 The afternoon was filled with laughter, fun games for the kids and even a demonstration on stranger danger from the Bartlett National Karate & Kickboxing School. 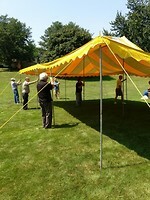 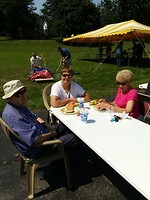 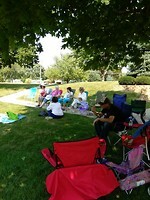 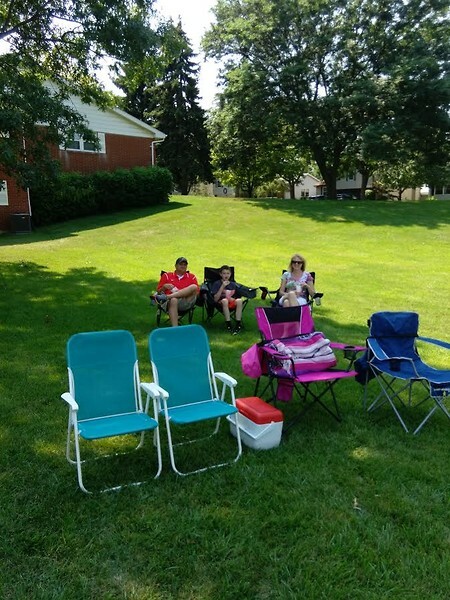 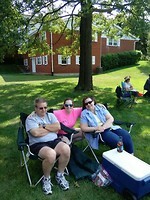 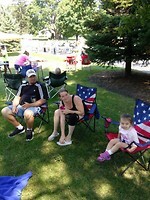 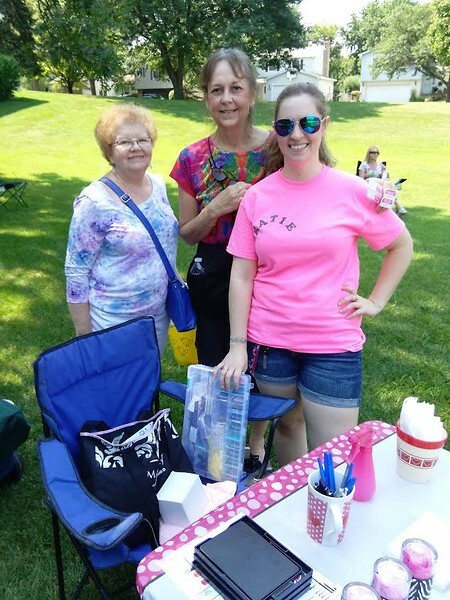 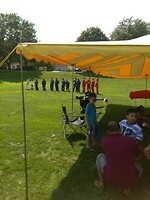 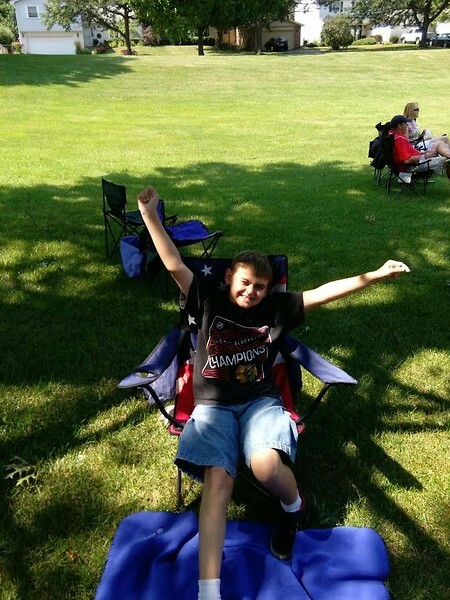 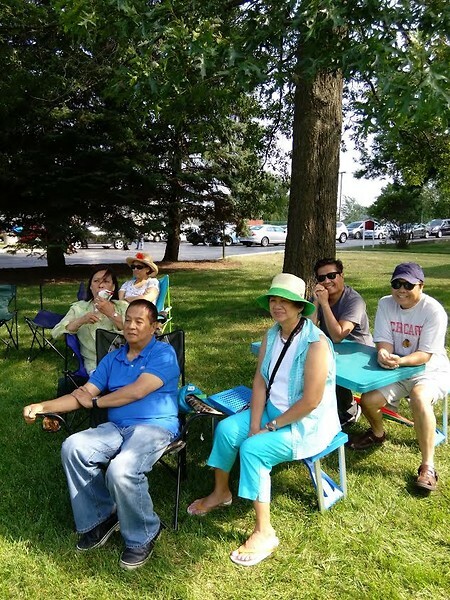 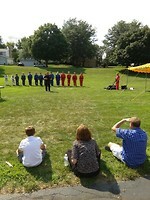 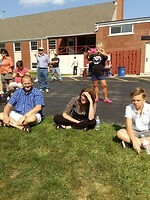 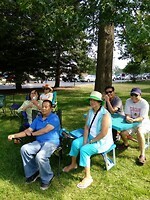 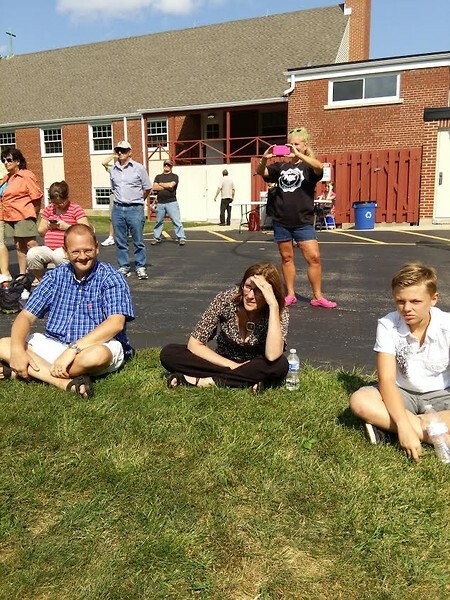 What better way to celebrate a church family than with an exciting picnic. 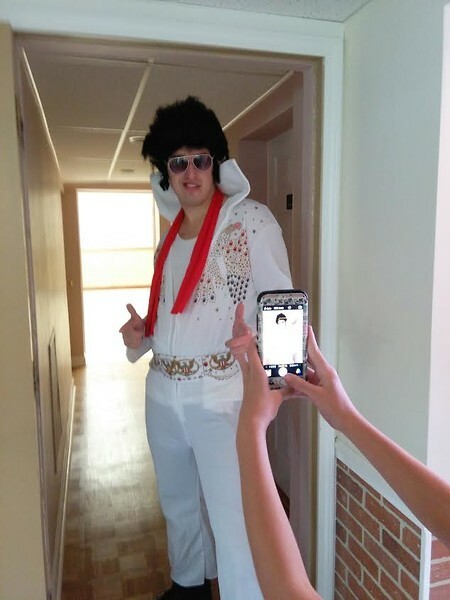 Our parish got a fun visitor, Elvis, to sing some of his hit songs. Thank you, thank you very much! 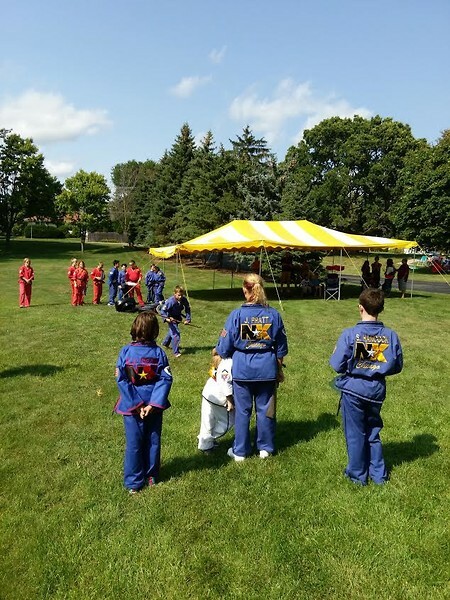 The local karate school, National Karate & Kickboxing, came to do a display of the range of programs offered at their location. The students of National Karate & Kickboxing school showing ways to protect oneself against a stranger if they try to hurt them. 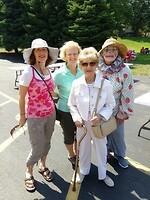 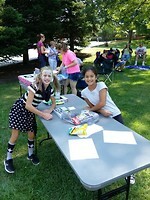 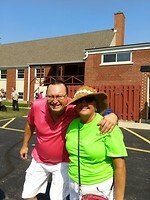 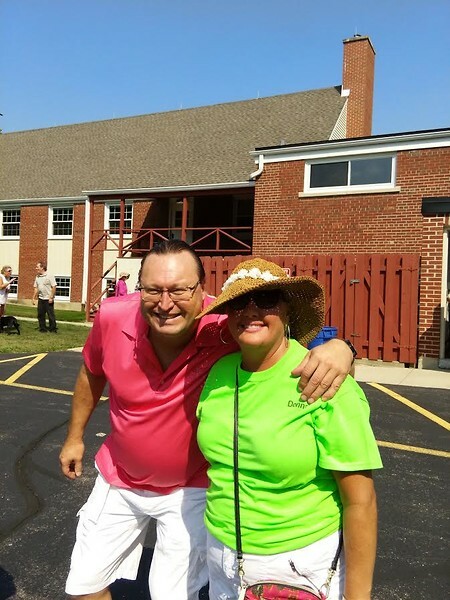 Bright smiles on a fun day here at St. Peter Damian's church picnic. 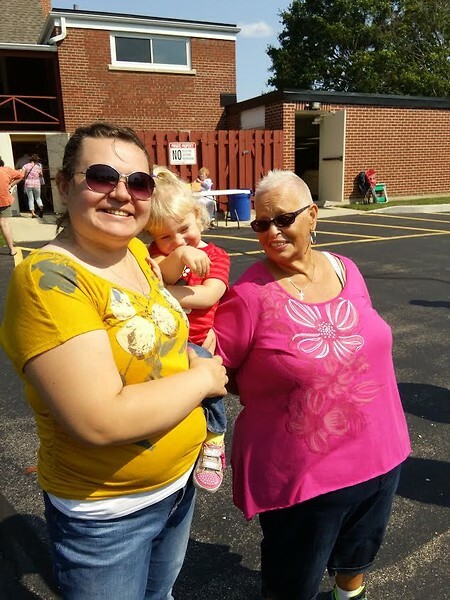 Our parishioners took a little time out of their busy Sunday to come enjoy an afternoon of good food, sunshine and a class on stranger danger. 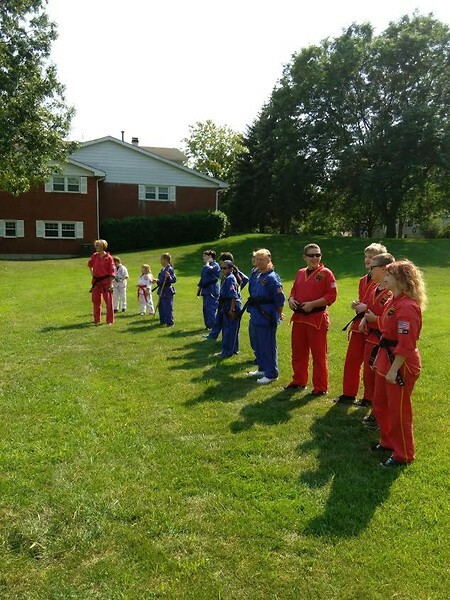 Jenny and her family are enjoying the class taught by the students of National Karate & Kickboxing all on stranger danger. 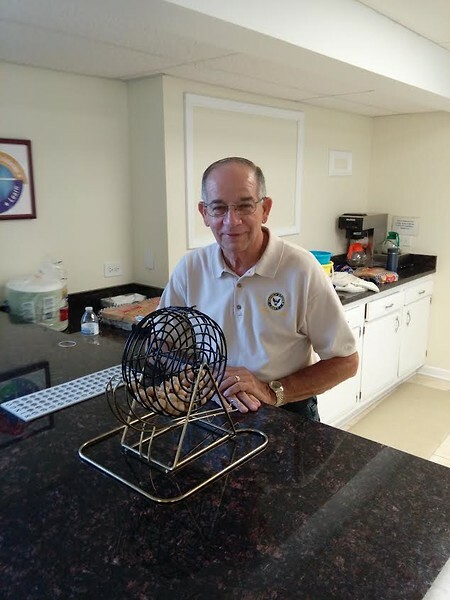 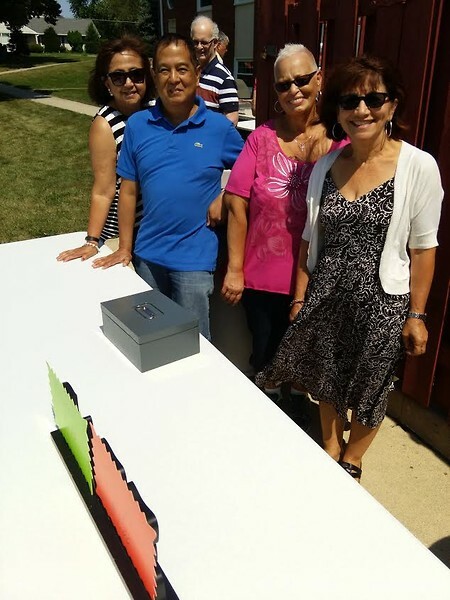 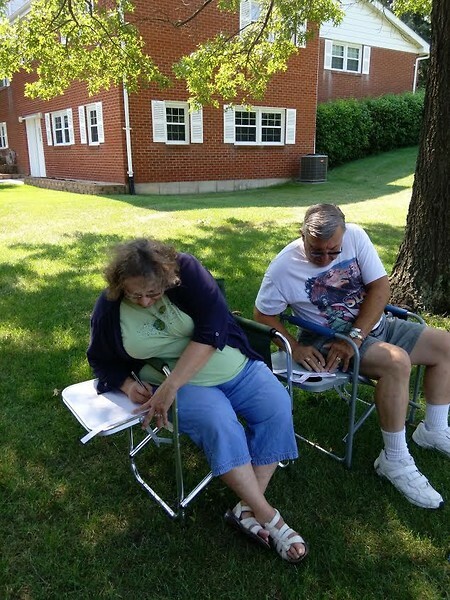 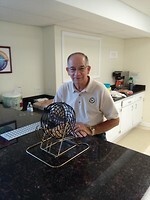 Some of our parishioners signing up for the 50/50 Raffle. More team members taking a short picture break. 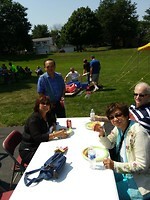 Another family of St. Peter Damian's enjoying the sunshine, good food, fun games, and stranger danger class.